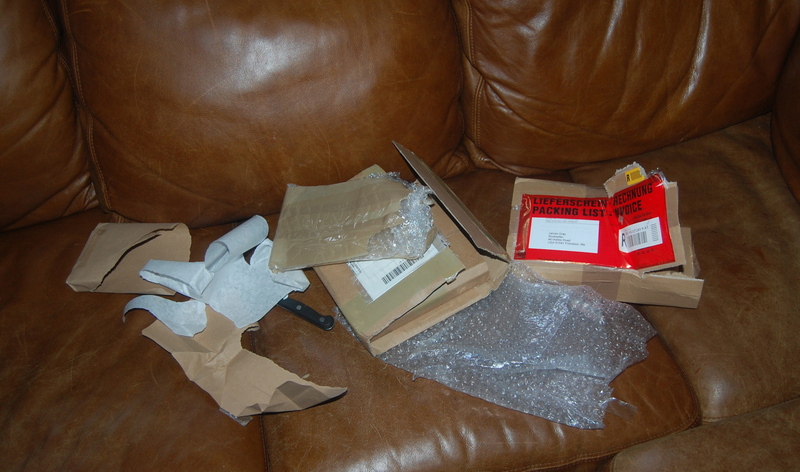 Getting books in the mail is always exciting, even if I mailed them myself. [A lot of times I’ll find a book or a few books on a trip and to avoid any untimely delay in customs I’ll mail them to myself, other times I’ll carry the books and mail my clothes] Today the USPS brought me two books! The first box I open has a two-volume book written /compiled by Caesar BARONIUS who was the Librarian of the Vatican. He was assisted by Joanne Gabriel BISCIOLA who was admitted to the Society of Jesus 1n 1555 at the age of 17 . The title is : Epitome annalium ecclesiasticorum Caesaris Baronii S.R.E. Card. biblioth. apost. Barronius was famous for his unprecedented historical penetration, power of research, and zeal for verification. He is author of “Annales Ecclesiatici”, a work which marked an epoch in historiography and merited for its author, after Eusebius, the title of a Father of Ecclesiastical History. The book in the mail is the two-volume Epitone printed in Lugduni by I. Pillehotte,1602-1603. 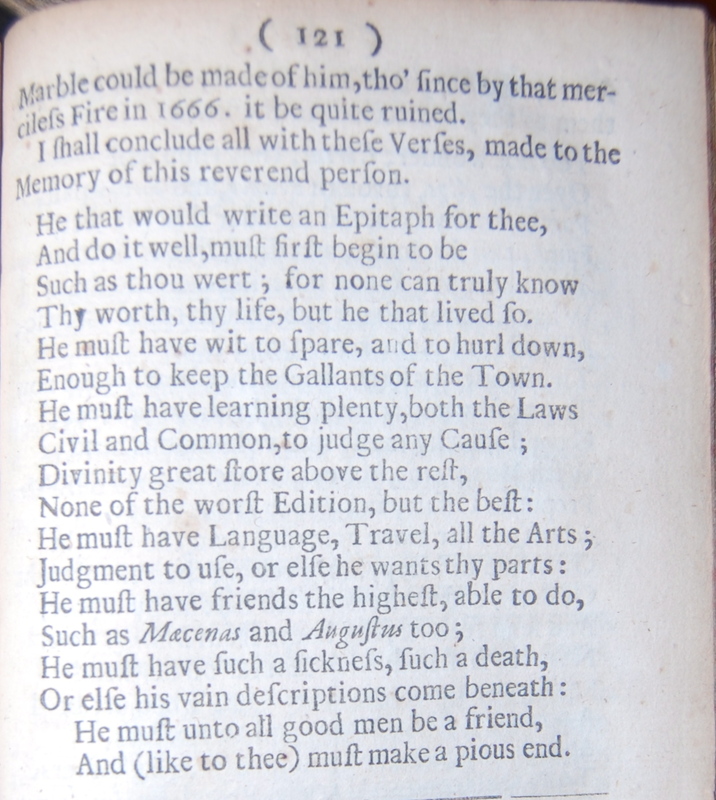 John Donne mentions Baronius’ Martyrologium Romanum in his Biathantos! 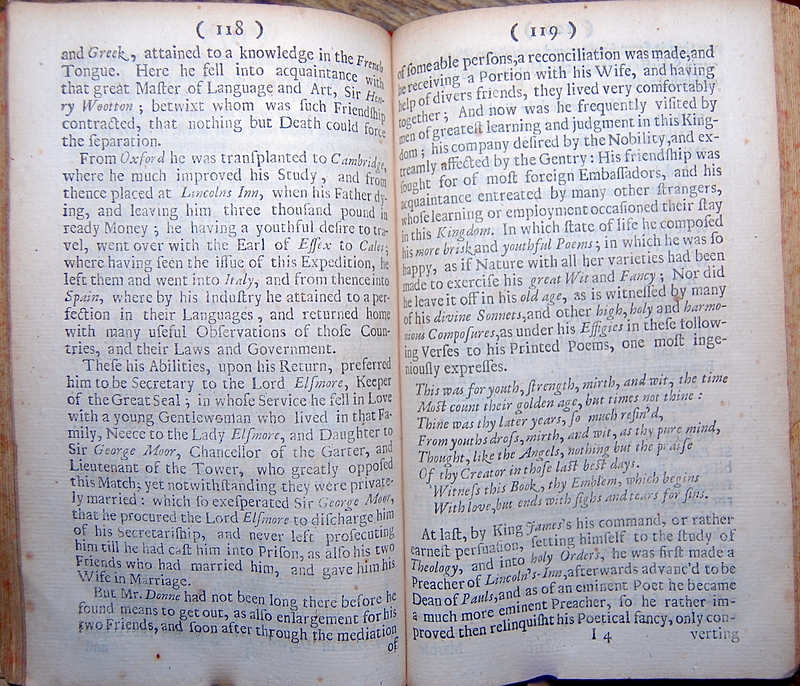 The other book is another copy of Winstanley’s The Lives Of the most Famous English Poets, Or The Honour of Parnassus; In a Brief Essay Of The Works and Writings of above Two Hundred of them, from the Time of K. William the Conqueror, To the Reign of His Present Majesty King James II. The last copy I had, (april 10th, http://wp.me/p3kzOR-xr ) sold to a university with a very important collection of books relating to Shakespeare. Like the other copy this one has the very rare frontis. 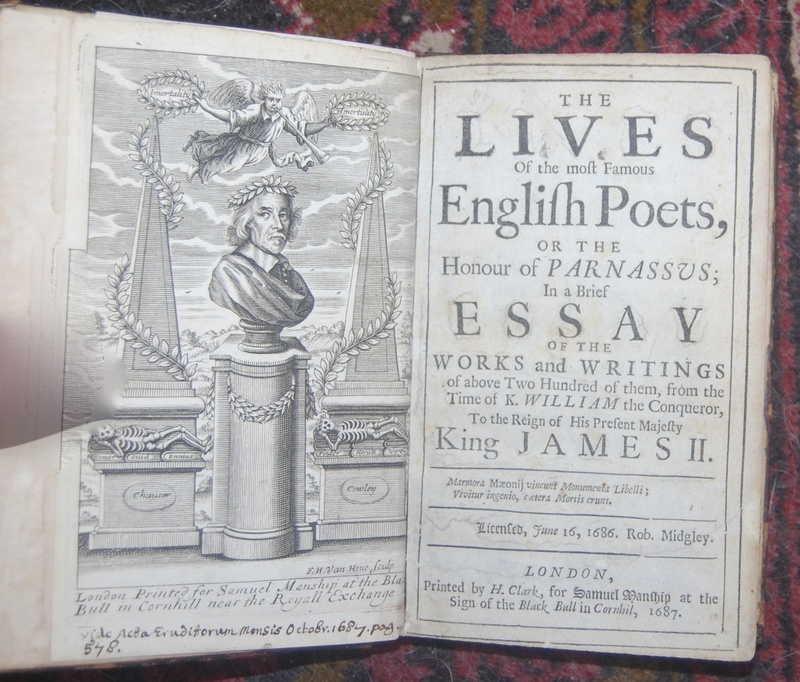 The Lives Of the most Famous English Poets, Or The Honour of Parnassus; In a Brief Essay Of The Works and Writings of above Two Hundred of them, from the Time of K. William the Conqueror, To the Reign of His Present Majesty King James II. Octavo, 6.5 x 4 in. First edition. π1,A8, a4, B-O8 , P6 . 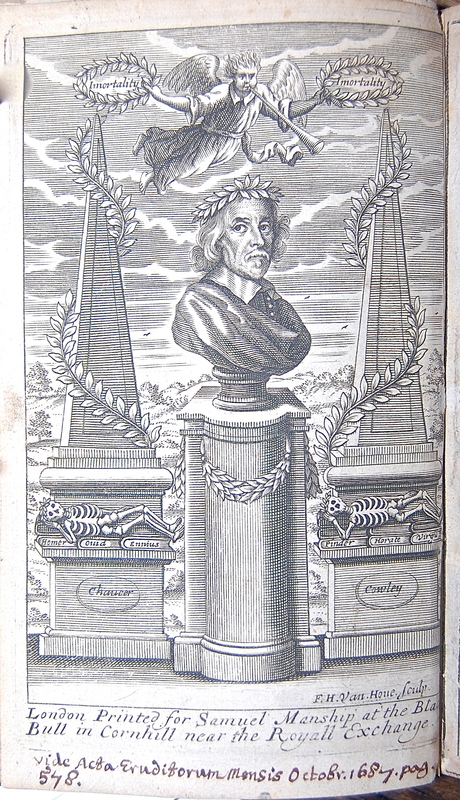 This copy has the portrait frontispiece which is quite often lacking. 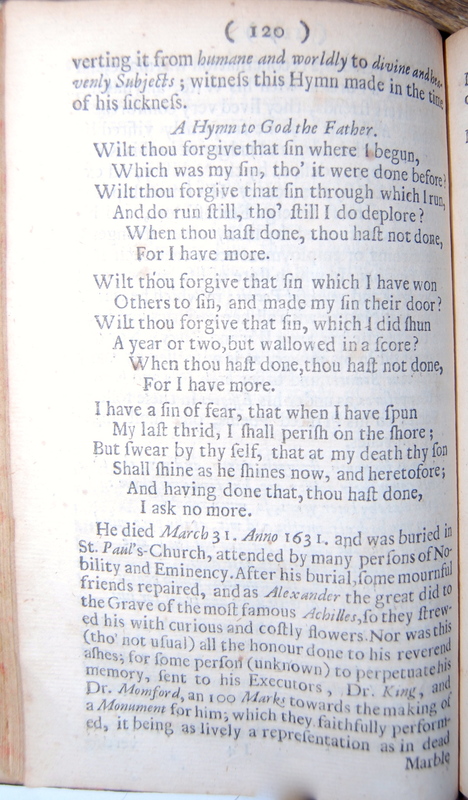 This book is bound in seventeenth century full calf recently rebacked.. Wing W-3065; Grolier, W-P #1004. 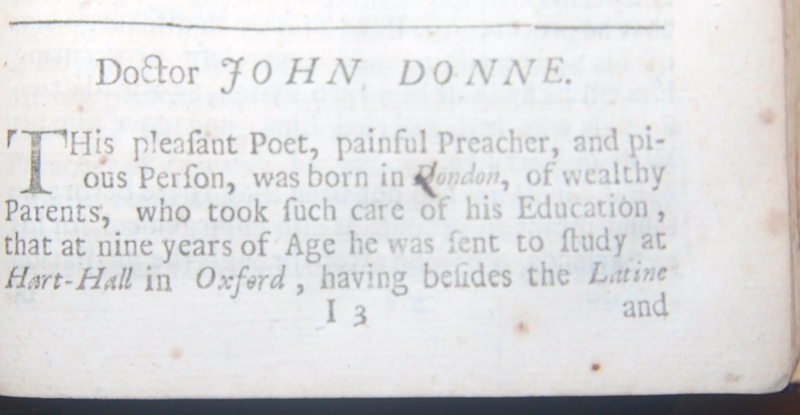 The description of the contents of the other copy of course applies, so I will take up some space and give images of Winstanley’s biography of Donne.